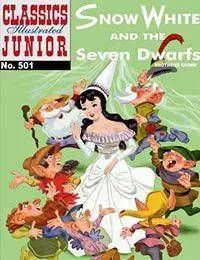 Classics Illustrated Junior Series: The wildly popular Classics Illustrated Junior series is a delightful series geared for younger readers. It includes comic book featured adaptations and liberal expansions of fairy and folk tales. No expense was spared when these comics were presented using the very best editorial matter and artwork. Trajectory, Inc.s digital release invigorates and enhances these works for todays most widely used devices.